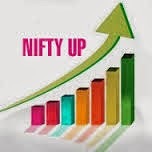 nifty close above 6275 above with gain of 38 point, most of buying factor in pharma share as well as metal share look positive trend, midcap, infra, IT, AND BANK NIFTY look in green sign over all day. tata steel, marutu suzuki, reliance, hdfc bank, asain paints, wipro, hexaware tech. Stock Exchange tips for teh day is BUY LIC HOUSING 210 CALL OPTION ABOVE 7.80 TGT 8.20-9-10 SL 7.20. Sell Bank Nifty Fut below 19080 TGT 19040 & 18990 SL 19139..
CapitalStars provide latest market video , services video Gallery , latest market happening with free equity , commodity & currency market advice by our expert.